Labway was founded on the belief that Sea Cucumbers offer many health benefits that may be the solutioins to many of the diseases and illnesses we face today. Our mission at Labway is to explore, develop and harness the healthy nutrients of Sea Cucumbers in a sustainable manner. Labway was founded by 2 Hong Kong sea cucumber experts and is joined by local biotechnology experts. We have very strong worldwide network of suppliers and industry experts, ranging from sea cucumber suppliers in Mauritania and Australia to aquaculture experts and companies in Dalian, Japan and Taiwan. We are discovering the true medicinal abilities of the sea cucumber who for the longest time we knew had health benefits but could not quite understand and identify them. In 2016, we have contracted the Faculty of Medicine, The University of Hong Kong to examine the anti-cancer effects of saponins extracted from a number of selected sea cucumber species. Our flagship product, the SC-3, is the first all-natural sea cucumber health supplement developed based on researches in Hong Kong and manufactured locally. We are also in discussions with universities in Europe to apply the unique biological “shape shifting” properties of sea cucumbers in developing novel biotmaterials for skincare and cosmetic products. 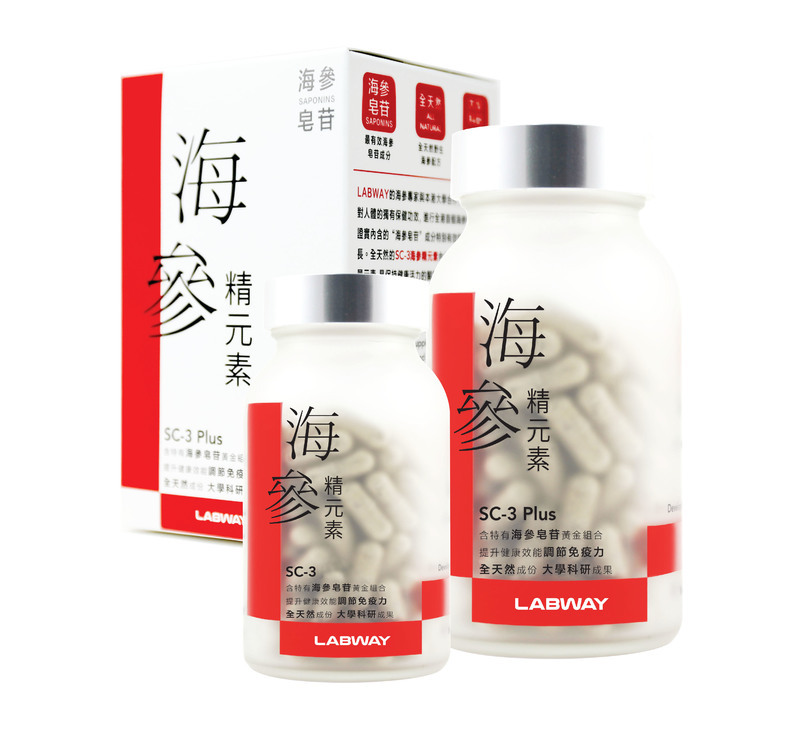 Labway has been admitted to the Hong Kong Science and Technology Park and will partner with different universities and industry experts around the world to develop (1) medicinal applications (unique saponins and other bioactive ingredients) of the sea cucumber, (2) effective extraction and synthetization methods of such active ingredients, and (3) ecosystems and communities to maintain the sustainability of this sea creature through improving existing farming techniques and raising awareness of the importance of protecting sea cucumbers. Labway dispels the traditional notion that sea cucumbers are merely delicacies mainly served in Chinese banquets and introduces the idea of applying their profound medicinal value and unique biomechanism to answer many of today’s sicknesses, diseases as well as human problems. Pioneering research conducted in Hong Kong has confirmed our belief that different sea cucumbers contain different amounts of saponins, some of which are more effective than others. The results of the research has adds significant value to the sea cucumber and has redefined how we should consume them. We believe that Labway is innovating and redefining one of the most traditional businesses in Hong Kong and if given the right support will develop techniques that will be beneficial to human health.